After a night of raging to the motet on Halloween, I woke up at 6:30am, hungover, and drove to Odell’s, in Fort Collins, to brew some beer for the Hop On Tour kick-off in November. Some good stuff going on here! 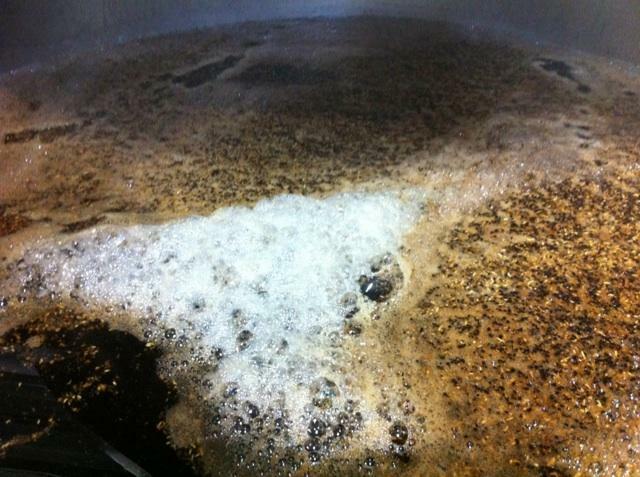 Making a vanilla porter will Odell Brewing. mmmmm. 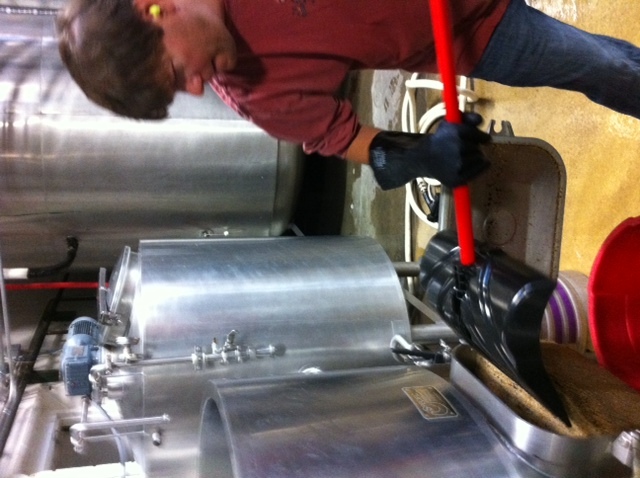 Cleaning-up spent grain at Odell's. 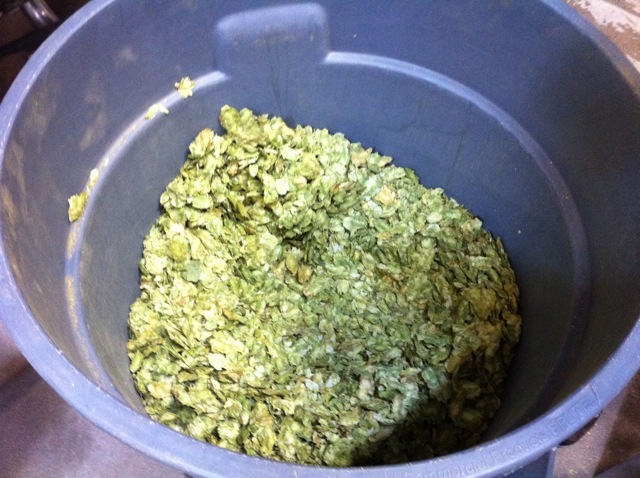 Getting ready to add hops! Turning random knobs at Dry Dock, while making Solstice Spice. 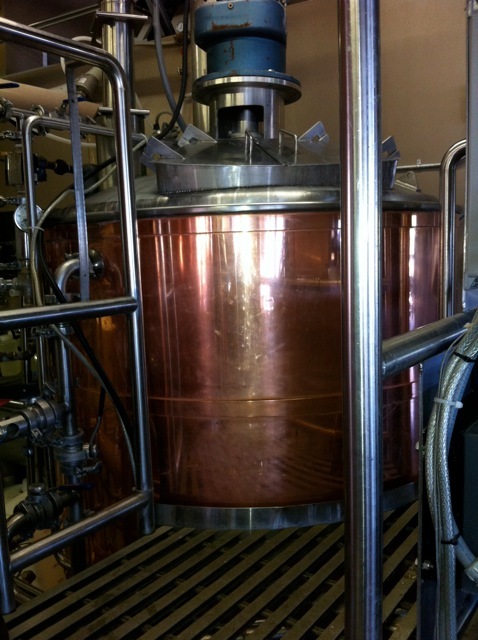 The kettle at Dry Dock Brewing Company. It's a clean machine. 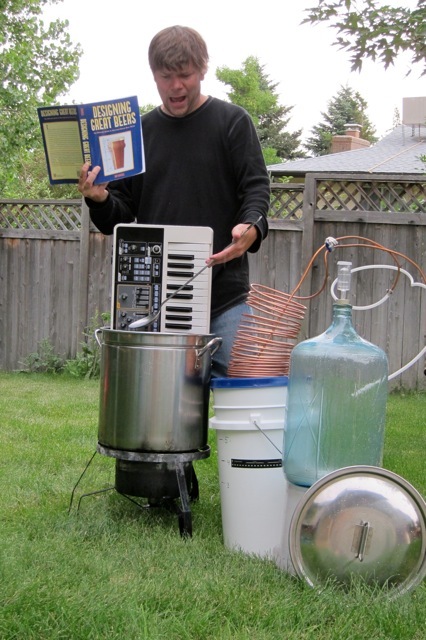 Doing a little home brewing. Very tricky stuff! Both shows will feature these two one-time-only craft brews – a vanilla porter from Odell Brewing & Kyle and Solstice Spice from Dry Dock Brewing & Kyle. 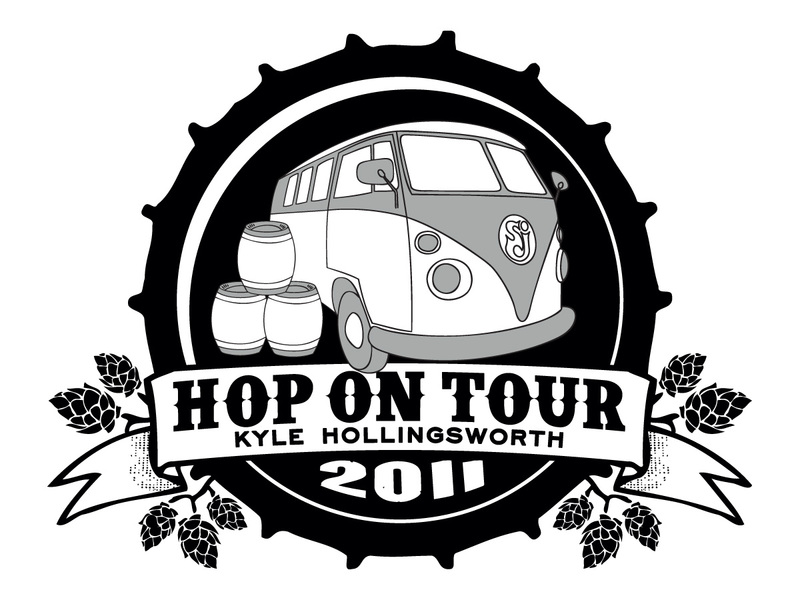 Cervantes’ will also feature Hoopla Pale Ale from Boulder Beer & Kyle. In addition, all Kyle drafts (Odell, Dry Dock) will be FREE in Denver until 9pm. Damn…this was a serious summer. SCI rehearsals and shows in June and July (which were sooo much fun). Then I was out with my band for a spell, traveling around the festival circuit. And, in between, I was invited to participate a few unique lineups including a super group with Bill Kreutzman, Steve Kimock and George Porter. It was a lot of great music with not much sleep, but maybe its better that way. On the beer front, it was big year as well. Kyle’s Brew Fest sold out again and was another successful benefit for Conscious Alliance. The beer I made with Boulder Beer, Hoopla Pale Ale, has been getting a lot of great reviews from all over the country. Get it while you can! Also it was fun to add my new Brewru Experience at festivals, discussing beer and brewing with fans – trying to connect the dots between my passion for brewing and my love of music. And now I am psyched to be home with the fam for a few weeks. While at home, I‘ve been forcing myself to dig in a bit and do some more writing. As inspiration, I have been playing through the Beatles songbook. Man, they were great songwriters. Some of those chord changes come out of nowhere and the modulations are seamless. The melody drives everything on that stuff. Listening to this music gets my mind thinking in different directions. So this fall is mostly chill. Though I do head out for a long weekend with my band September 8-11 in the Midwest. We are going to hit some new towns as well as a couple of festivals. The Macpodz will be joining us in Cleveland and Kalamazoo. I dig their stuff and I think it will be a good musical combination. Also, we are playing one of my favorite breweries: Bell’s. Yes! Great beer, great music. Yum. But for now, I’ll just enjoy the last weeks of summer. Sitting on the porch, drinking a beer and writing songs. In case you missed it, I did a “remix” of an argument we had on the road this summer. My band, KHB, had just finished a gig deep in the mountains of West Virginia. So at 4am we started driving around looking for our hotel. Tensions started running high as we came to the conclusion that we were hopelessly lost. I recorded some of our banter and then auto-tuned it and added music. Check it out (Beware it does contain some “moonshine-induced” mature language). Festival Season is here!! And now with “the rapture” out the way, it looks like it’s going to be quite the Summer. With Cheese back at Bonnaroo and then Electric Forest, it will for sure keep me busy for the majority of the summer. Then I continue forward with lots of unique musical formations and events. From collaborating with Steve Kimock to jamming with George Porter and Bill Kreutzman, plus doing clinics on beer and home brewing, it is going to be a diverse few months. But I’m looking forward to the challenge. Also, my band KHB will be working hard this summer. We’re heading to Electric Forest as well as local and national touring. Including my 2nd annual Kyle’s Brew Fest here in Boulder, Colorado. But for the next few weeks I’m being sequestered into the school of SCI rock. Back at it, we are digging in and spending time together making sure that every show we do is an unique “Incident.” From testing-out new stuff, to the ever-lasting search for the perfect cover, it’s always a challenge and a relief to be back with friends. 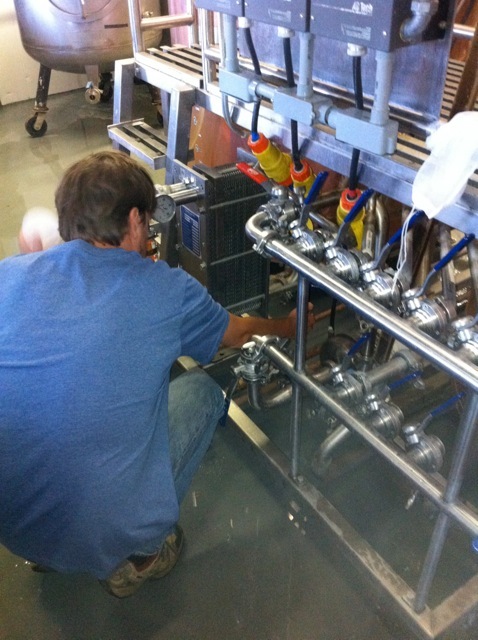 In preparation for Brewfest I am making sure we have enough Hoopla Pale Ale ready, check out the video. Ok, ok, so it’s my birthday, don’t rub it in. And now that I am more than twice Justin Bieber’s age, I am starting to feel the years. But at least we have matching haircuts. The bowl cut will never die!!! Actually, things are going pretty great. I have been busy for the last few months writing tunes and playing music. I did some cool shows around town with my band, KHB. We opened for Umphrey’s at the Fillmore, in Denver, and that was a blast. They are such a great guys and it’s always a pleasure to hang with them. But, honestly, it was my wife’s birthday so I got a bit buzzed and ran around the Fillmore dancing and screaming. So I didn’t get to much time to hang. I think I remember having a had a good time though. But then there’s now and I am deep in rehearsals with SCI. With only a week left before the big 1st Bank Center Cheese shows, we are getting pumped. We are digging into some of the older material that has not been played in a while, but also breaking out some new tracks. It’s going to be awesome, it’s always a bit challenging to just jump back in it and that’s why we spend so many weeks preparing. It’s not about learning the chords to “Howard” again, it’s more so about jamming together and getting the magic back. It’s never lost, but just needs to be dusted off a bit. So yes, every keyboard player is expected to cite Herbie as an influence. And with good reason, he is sooo the man. I first found him in college after my piano professor turned me on to Speak No Evil (a Wayne Shorter album). Of course I had heard of Herbie from the Eighties hit “Rockit,” but the earlier Miles Davis side of him was so was so soulful. Every note had so much feel and intention. And although in college I was studying all the greats, such as Keith Jarrett, Chick Corea, Bud Powell, etc., I kept coming back to Herbie. The live Miles Davis 1964 discs Four & More + My Funny Valentine were constantly playing in my room. It was, and remains to be, one of my favorite recordings of all time. There is great compositional improvisation on that record, so much musical intuition between the players. It wasn’t until later that I discovered the Headhunters’ records. This was another level for me as well. Not only funky playing, but also that tone coming from the Rhodes was something I had to have. Herbie’s feel is always at the center of his playing whether a piano, Rhodes or Clavinet. He was a great inspiration for me. 12/12 Avery Brewing Co. | Boulder, CO – KHB plus signature beer by Kyle and Avery Brewing and much, much, more! – SOLD OUT! In anticipation of Hoppy Holidays, I will be counting down the top five keyboardists whom have had the most influence on my playing. I’ll post a different artist every few days between now and the first day of Hoppy Holidays: Friday, December 10th. Growing up, I would hear music wafting down the staircase from my brother’s super cool attic bedroom. And although my family was primarily a Beatles/Simon & Garfunkel institution, he was playing some new music that peeked my interest. It had great feel and less-predictable song forms. 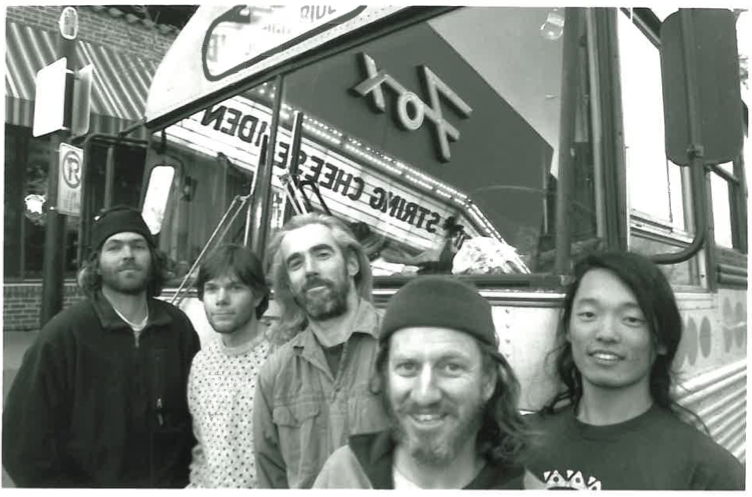 So I started digging into Little Feat myself. I remember spending hours listening to Waiting For Columbus, especially “Dixie Chicken.” I loved the breakdown with the horn section and Bill’s solo moment there is awesome. The whole concept of laying-down time with the left hand, while freeing up the right for improvisation, was new to me. I guess I had never really heard much ragtime/New Orleans-style music before, so the concept of a “one man band” was inspirational. And Bill uses the whole piano as a canvas. From his high percussion-type splashes to super low bombs, Bill taught me that piano is a percussion instrument in every sense of the word. At times, I still struggle to get out of my three- or four-octave safe zone. It is always refreshing to watch or listen to Bill play. He is the catalyst for me to stretch out of my comfort zone, which is always good.